When building a house made of wood, it must be remembered that because of its drying and precipitation of the crowns, a log house shrinks. As a rule, it occurs unevenly, since the building is heated by the sun from different sides and blown by the wind. Therefore, while the shrinking process is in progress, the log house should be serviced. Scheme of shrinkage deformations of the log house. The shrinkage process continues for 3 months. In this case, its value is influenced by many factors. It depends on what material is made log. So, the log shrinks up to 150 mm, and its rounded appearance - up to 100 mm. Shrinkage of planed and unplaned lumber occurs to 60 mm. If it is profiled natural humidity, then 20-40 mm, and chamber drying - up to 25 mm. A kind of glued laminated wood shrinks 15-20 mm. Also, this process is influenced both by the dimensions of the material (thickness, length), and the dimensions of the structure itself, whether it is a log house or a bathhouse. The moisture content of the material plays a significant role in this process. If you build a house of wood with a high moisture content, then over time it will dry out, causing deformation of the log house. Therefore, before work, all the material should be dried. It is best to carry out a log house at home in the winter time, since wood collected in winter has a natural moisture content. As a result, the shrinkage is small and occurs evenly. This process is influenced by such factors as the relative humidity of the air, the percentage of which in winter is less than in summer, and the gradual freezing of moisture from wood during frosts. The wooden structure, built in the summer, sits 2 times longer, because the spring and autumn material is saturated with juice. Scheme of changes in the Canadian and Russian logging. The degree of shrinkage of the walls of a house is influenced by the technologies used in its construction. 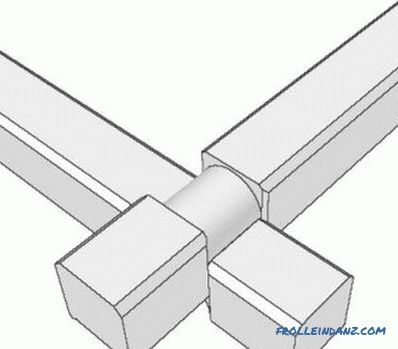 It depends on how the cutting of the angle will be carried out: in a half-tree, in a dovetail, etc. The density of the fit of the logs and the presence of material laid between the crowns have an influence on this process. The degree of precipitation also depends on what the log house is going for, that is, on metal or wooden pins, whether technological gaps are made, etc. If you do not take all these factors into account, the building is deformed. In this case, the window frames will be skewed, the doors cannot be opened and closed, there will be problems with the flooring, the finishing materials in the house will deteriorate. 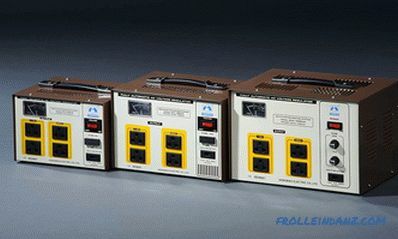 The consequences of this process can be either minimized or completely avoided by implementing some preventive measures. When building a house from a bar, each of its crown should be besieged with a special mallet. In this case, the beam will be much closer to dock with each other. Between the rows, a special heater, such as jute, is necessarily used. 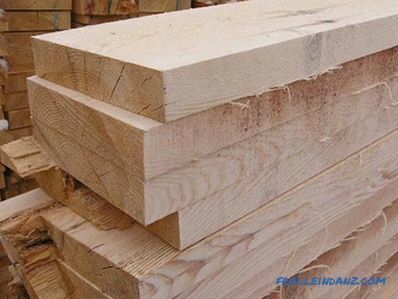 Currently, one of the most popular materials in construction is profiled timber, which gives a slight shrinkage. During installation, it rigidly and tightly coupled to each other with the help of spikes and grooves. Windows and door blocks in the log house are installed approximately six months after the walls and roof were erected. This time is sufficient for the building to have partial shrinkage. Installation of windows and doors is performed with the arrangement of the casing or casing. Jacking scheme for adjusting the shrinkage. Before installing a window in a log house, a casing is manufactured. To do this, a box of edged board is assembled and mounted in a window opening, while leaving gaps of about 2-5 cm at the sides. These gaps play an important role in the shrinking process. The box is fastened using bars or special spikes. Further, all gaps are filled with foam and cover with trim. The windows themselves are then inserted into the prepared box. Installation of doors in the frame is performed in the same way. In this case, first an okosyachka is installed in the doorway, assembled in the form of a casing. Do not forget to leave at the same time the gaps on the sides. Then the door block is inserted. After that, the gaps are filled with foam and closed with decorative frames. Installation of entrance and interior doors is performed six months after the construction of the house. 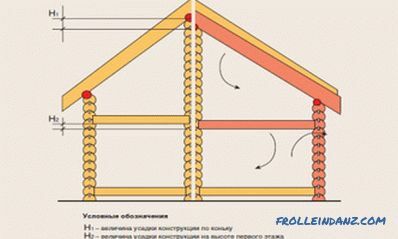 Since load bearing is transmitted from the supporting structures of the roof through the ridge beam, subrafter beams and logs of the power plate, the possibility of shrinkage should be minimized between them. To do this, the rafters are rigidly attached only to the ridge beam, and fixed to the mauerlat by means of special supports, so that the rafter leg can slide during the logging process. 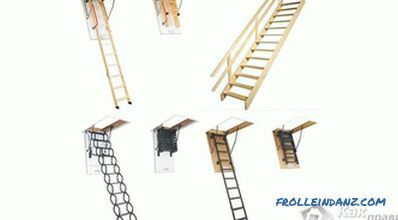 At the same time, for the purpose of prevention, it is necessary once every 2 months to carry out the adjustment of the fastening of the rafter legs to the mauerlat logs and to inspect the rafters themselves. Depending on the complexity of the roof, its device is executed only after the final shrinkage of the house in about 1-1.5 years. Therefore, at this time it is covered with roofing material. Once every 2 months for 3 years adjustment of the compensators installed on the vertical column supports is carried out. To do this, a nut is tightened on its device, while the bearing pad is displaced to a height that is equal to the wall shrinkage that occurred. During this process, maintenance of floor beams is carried out. Before starting finishing work, supports and carrier beams are inspected for damage, for example, split beams, and, if necessary, they are replaced. After the shrinking process is over, metal supports are attached to the walls with anchor bolts. At least once every 2 months, wood is examined for biological lesions and treated with special solutions. When a lesion is detected, bleaching and additional antiseptic are performed at a positive temperature. How to calculate the log volume correctly? 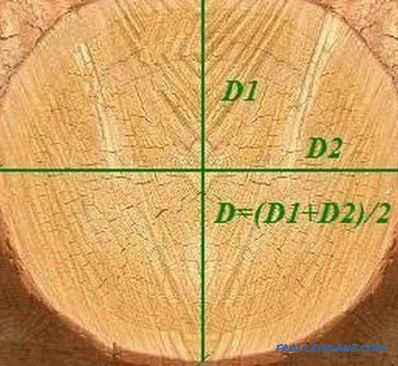 How to calculate the volume of a log correctly, which calculation methods allow you to accurately estimate the volume of roundwood? Calculation of the volume of occupied space, individual logs, tables. How to determine how much timber is in a cube? Recommendations on how to correctly calculate how much timber in a cube. 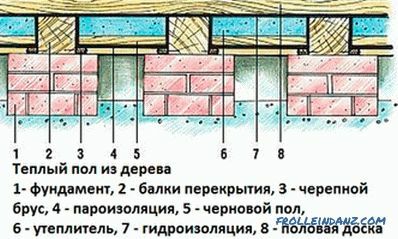 Calculation of the required amount of timber. The amount of material in one cube. Calculate total losses. 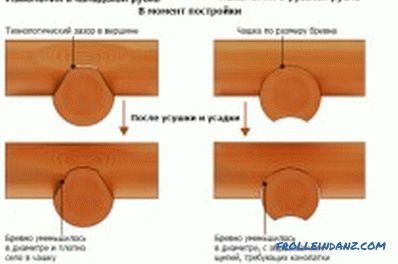 Step by step instructions on how to make a calculation of the wooden floor. 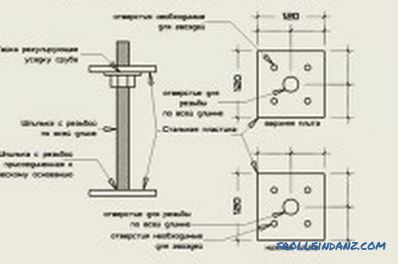 Determination of the main parameters: the length of the wooden beams, the calculation of the load on the overlap, etc.